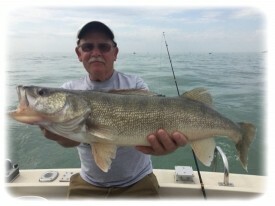 To lock in your your Lake Erie fishing charter dates. 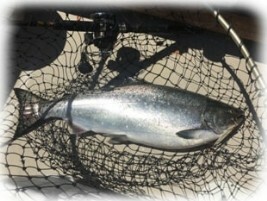 A $100.00 deposit per fishing day is required. Deposits can be made with a credit card over the phone. In the case of bad weather deposits will be refunded or applied to your next fishing date with us when fishing multiple days or carried over for one year and applied to your next booking with Badman Charters. I will send out your trip confirmation immediately upon receiving your deposits. Included will be maps, directions and additional needed info. If you need to change your date after booking, please call or email back as soon as possible so Badman Charters can let you know if those dates are available. If you need more time for the deposit please notify me soon, otherwise, deposit are due within two weeks of booking. Do you have fishing questions! Call and we can discuss availabity. To book a trip with a credit card please call with the necessary credit card information.